Since 2002, a new neuroimaging technique called hyperscanning allows to record several participants simultaneously and thus to study social interaction in a reciprocal and spontaneous social context. 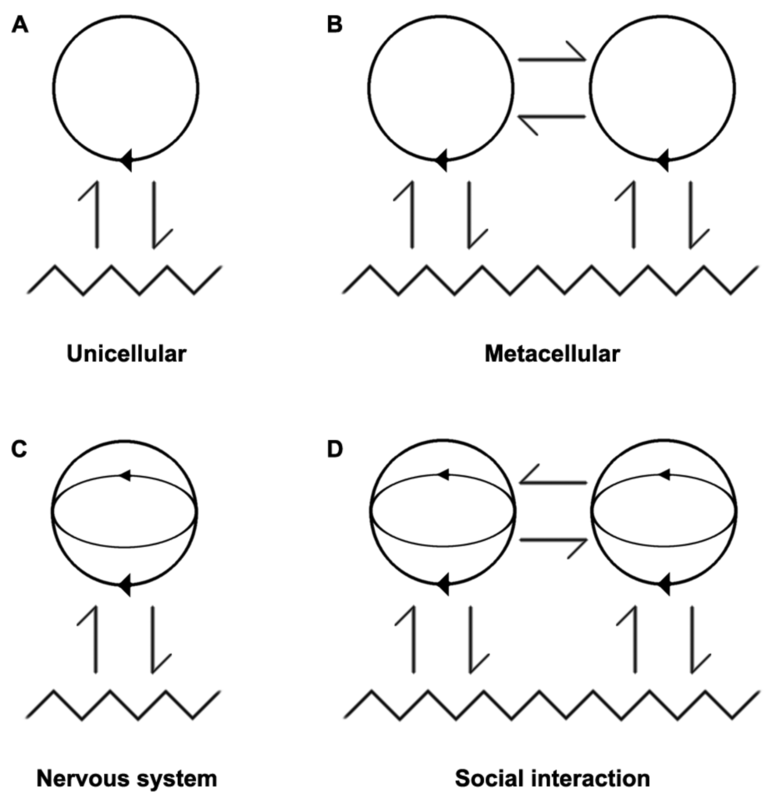 Meanwhile, neurodynamics and sensorimotor theories suggested to understand social interaction in a more holistic approach by considering the two interacting individuals as a single system, and giving equal importance to behavior and brain activity. This thesis presents the study of pairs of participants recorded simultaneously during spontaneous imitation of the movement of their hands, by a dual-video combined with a hyperscanning-EEG setup. A fine grained video analysis identified the episodes of interactional synchrony and imitation, thus allowing the neurodynamic characterization of various aspects of the interaction, both at the inter- and intra-individual. The first study showed that episodes of interactional synchrony were accompanied by the emergence of inter-brain phase synchronizations in several frequency bands. The second study showed a neural differentiation between self- and other-attribution of action primacy, and found a signature of the co-ownership of the action in both partners during the spontaneous imitation. The third study validated the experimental measurements with biophysical simulations of pairs of human brains. It also showed the effects of anatomical connectivity on intra-individual neural dynamics and the facilitation of the inter-individual sensorimotor coupling.